Isn’t it obvious? I featured them in almost every other OOTD post! They are so comfy and I can wear them on the laziest of days instead of leggings and they make an outfit look so much better. If they were cheaper I would own them in every colour – I wish! I wear these around the house and to bed all the time and I think their popularity is growing – well I hope so otherwise I’ll sound like such a weirdo! I currently I own a cow onesie (pictured), a lamb and a pink leopard print onesie. I wanted a pair of these since 2011. My dad has worn these since I was young and I would always moan and get so upset because I thought they were so ugly. I’m such a hypocrite! I wasn’t sure about spending £90 on them as I thought they may look so chunky on and I’d never wear them. Since getting them in March I hardly take them off! They are so comfortable and I think they look great, although I know a lot of people would disagree! At £25, these litas are a bargain. I don’t think the photos do them any justice. I think they are so similar to the real Jeffrey Campbells and they are so comfortable. I know I’ll definitely be wearing this a lot more in 2013! 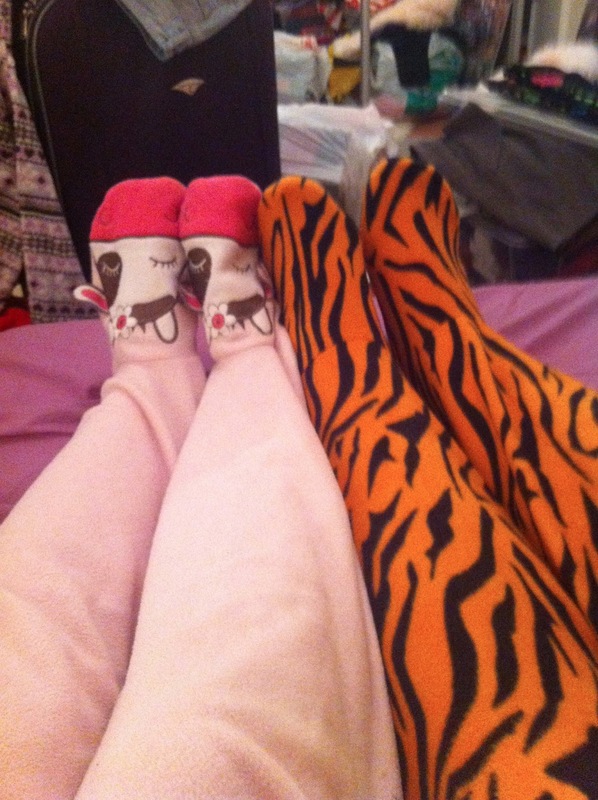 I really want a onesie! Those Lita dupes are incredible – such good value! wonderful! I definitely need some disco pants for my closet. Some day!